Protesters disrupted traffic on Chicago's Eisenhower Expressway Tuesday night and two people were arrested as a vigil for a 16-year-old boy fatally shot by police turned into a march. Chicago police confirmed two demonstrators were arrested amid the protests Tuesday, but it was not immediately clear why. A large group of people were seen marching onto the the expressway near South Homan Avenue. They marched down the expressway, blocking at least one lane before exiting at Sacramento. The march followed an earlier Black Lives Matter vigil for 16-year-old Pierre Loury, who was fatally shot during an "armed confrontation" with Chicago police Monday. Police said officers were on patrol in the 3400 block of West Grenshaw around 7:20 p.m. Monday when they attempted to stop a car matching the description of one sought in connection with an earlier shooting, according to Chief of Detectives Eugene Roy said. Someone jumped out of the vehicle and tried to flee the scene on foot. An officer followed and at some point, Roy said, the officer and the suspect got into an "armed confrontation," resulting in the officer firing shots. Loury, who lived just blocks away in the 3600 block of West Grenshaw, was pronounced dead at an area hospital, according to the Cook County medical examiner’s office. An autopsy determined he died of a gunshot wound to the chest and his death was ruled a homicide. No officers were injured in the shooting, and police said a weapon was recovered. The Independent Police Review Authority is investigating and the officer who fired his gun will be placed on administrative duties for 30 days, police said. 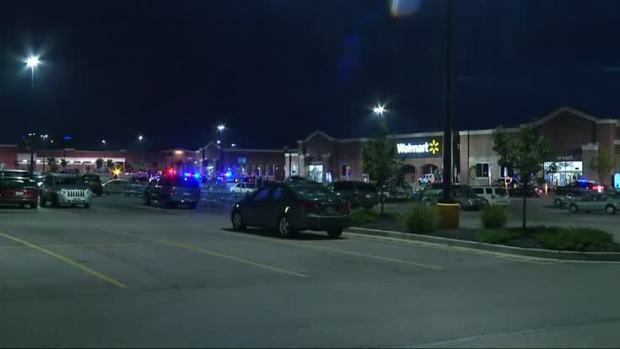 A judge ruled that there is probable cause to prosecute the man who called 911 to report a man with a gun inside an Ohio Walmart, kicking off a chain of events that ended when police fatally shot a customer holding a pellet gun he'd picked up from a store shelf.